Out Now! 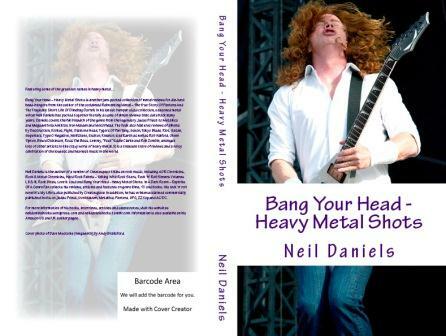 Bang Your Head – Heavy Metal Shots features reviews of Judas Priest, Metallica and Megadeth via Anthrax, Iron Maiden and Motörhead. The book also features reviews of albums by Destruction, Krokus, Fight, Diamond Head, Tygers Of Pan Tang, Saxon, Tokyo Blade, Riot, Satan, Sepultura, Type O Negative, Wolfsbane, Exciter, Kreator, Iced Earth as well as Rob Halford, Glenn Tipton, Bruce Dickinson, Ross The Boss, Lemmy, “Fast” Eddie Clarke and Rob Zombie, amongst lots of other artists in the crazy world of heavy metal.